"This unusual combination of common ingredients is fabulous! Everyone who tastes it asks me to share the recipe. You will love it and the many compliments you get--I promise!" 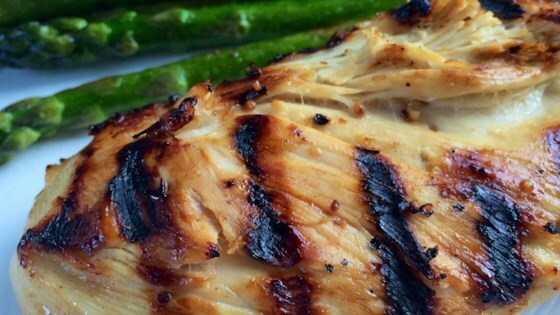 This 5-star grilled chicken recipe will make a believer out of you. Contrary to most reviews, I thought this was a very average marinade. In my opinion, there are much better recipes available.